An extended terraced 3 bedroom house with a double garage, private parking and a pleasant garden. Benefiting from Upvc double glazing and combi gas fired central heating, the accommodation briefly comprises - Lounge/diner with an open fireplace, a modern fitted kitchen with a built-in double oven, hob and fridge/freezer together with an adjoining utility/store. 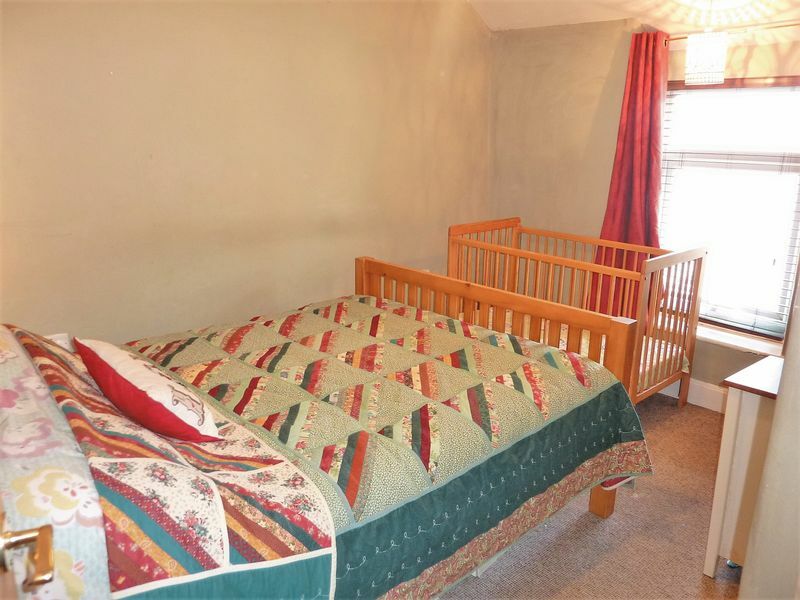 To the first floor, there are 3 bedrooms together with a spacious bathroom. A well presented property conveniently located within easy walking distance of schools, the leisure centre and the village centre shopping/social amenities. Stepping through the front door, the property has been renovated to create a large open plan lounge/diner. Windows to the front and rear providing good natural light. 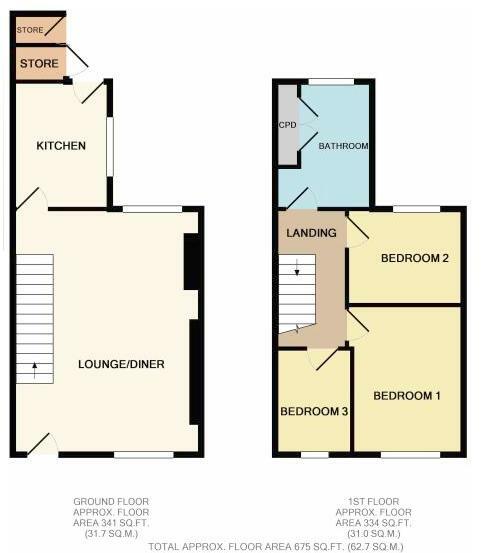 Built-in cupboards providing useful storage, tiled fireplace, further ornamental fireplace, 3 radiators, under stairs cupboard, TV point, dado rail. Stairs leading to the first floor, further door to the kitchen. Window (side aspect), rear outer door to the yard and garden. All appliances built in ! This modern fitted kitchen provides a good range of standard under-counter and overhead units together with marble effect counters and a single drainer stainless steel sink unit with a mixer tap and a tiled splash back. All appliances are built-in and a bonus is that they have all been renewed in the past few years. The integrated 'Hoover' fridge/freezer is a large 50/50 appliance and the freezer compartment 'frost-free' is large enough to handle the everyday needs of a family. The built-in 'Belling' stove has a lower convection oven and an upper dual oven/grill. There is also an electric 4 ring hob with a stainless steel canopy cooker hood over. 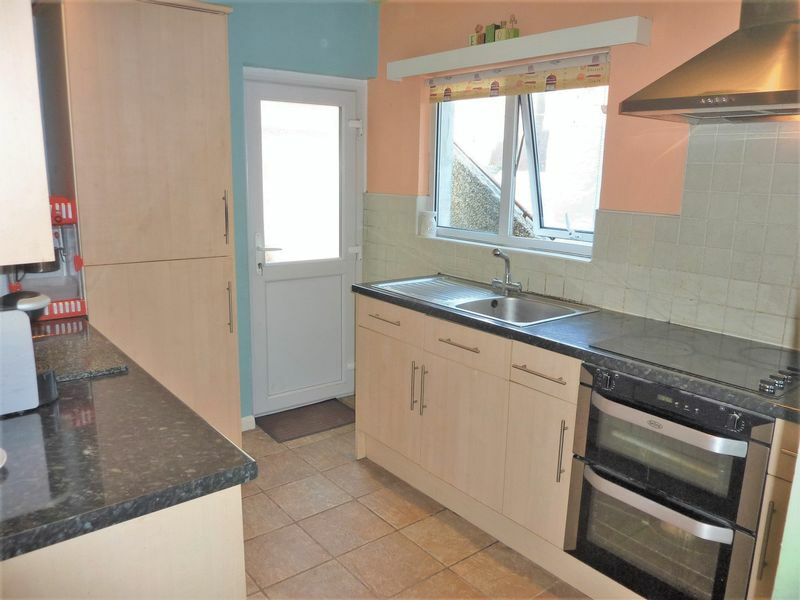 Lastly, the kitchen benefits from ceiling down lighting, tiled flooring and a radiator. Heading upstairs reveals a small landing off of which are the three bedrooms and the bathroom. The access hatch to the loft os off this landing and there is a radiator. 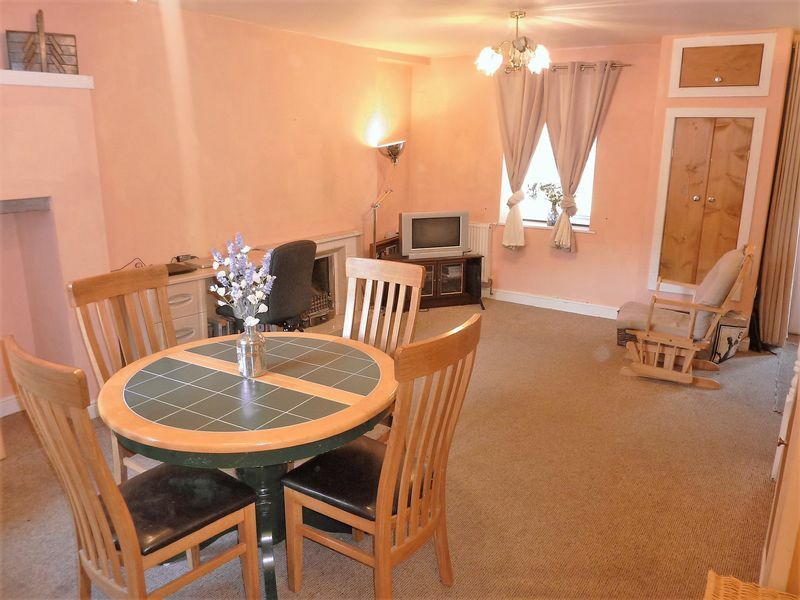 Larger double bedroom with a window (front aspect) overlooking Llwyndu Road. Radiator. 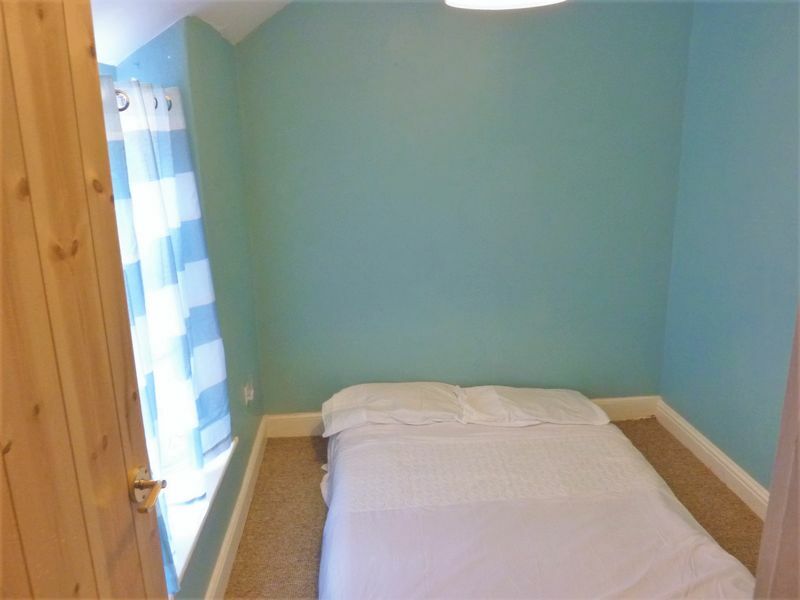 Double bedroom with a window overlooking the rear garden. Radiator. 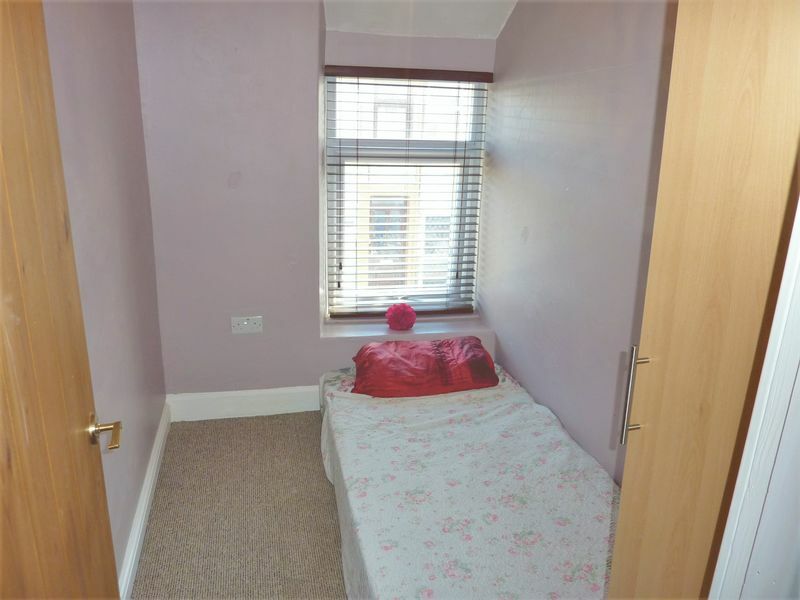 Single bedroom with a window (front aspect) overlooking Llwyndu Road. Radiator. 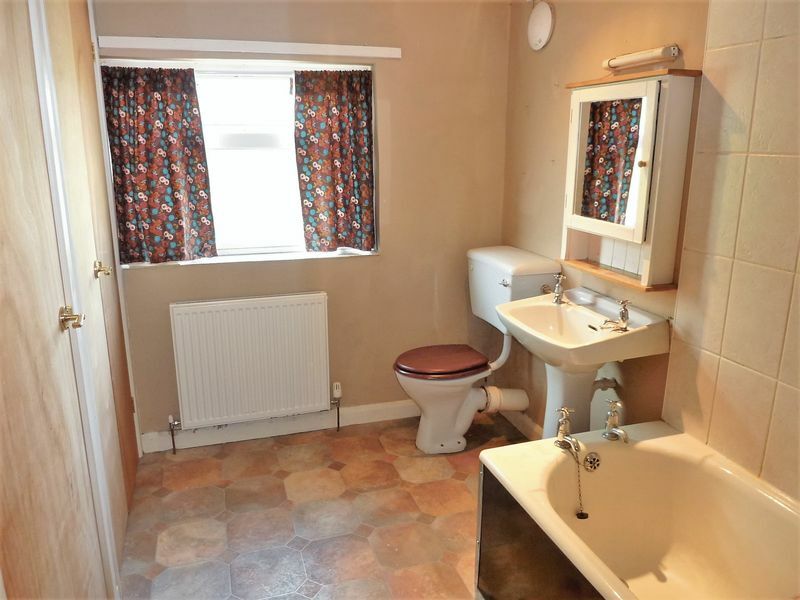 Frosted glass window (rear aspect) - Large family bathroom with a white suite comprising panelled bath with an over bath plumbed-in shower, tiled splash back, low flush WC, pedestal wash hand basin with a tiled splash back and medicine cabinet over. Large storage cupboard containing the 'Vaillant' combi gas fired boiler, airing cupboard to the side providing additional storage. Extractor fan, radiator. Exiting from the kitchen, there are two small adjoining cupboards to the left hand side, the first cupboard provides plumbing and a power supply for both a washer and drier, the second cupboard has lighting and is suitable for general outdoor storage. Steps then lead from this lower shaded yard area (Ideal fro Al-fresco dining on those warm and balmy summer days/evenings) to the principle garden area which is mostly laid to pebbles with a selection of shrubs, fruit trees and plants to include hydrangea, apple trees, a raspberry bush and rhubarb. There is also a small herb garden area with several herbs including well-established mint and rosemary plants. 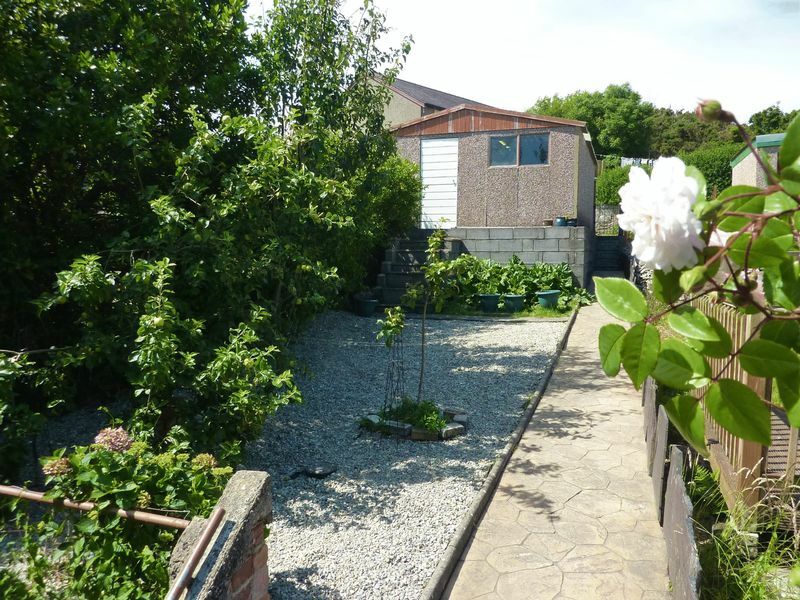 In addition, there is a slate fence and a side garden path leading to the rear steps and rear garden gate. 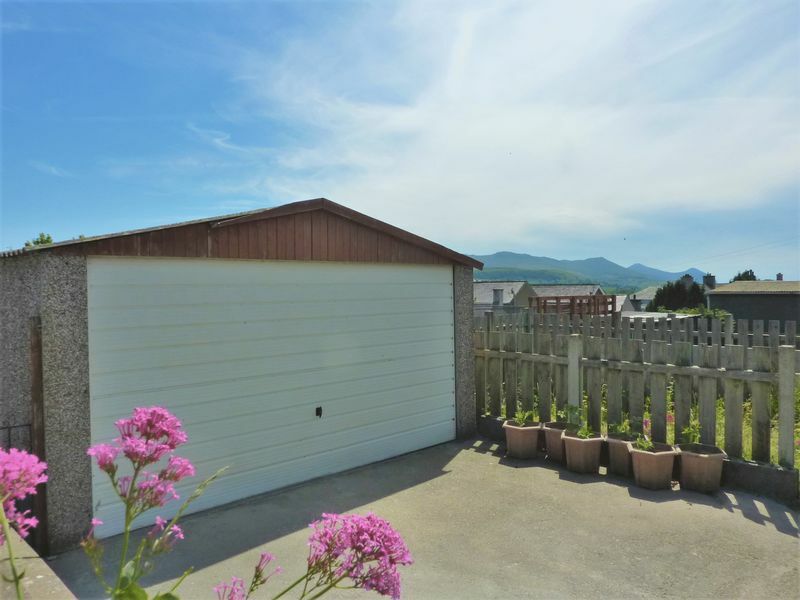 The detached double garage is located to the end of the garden and owing to its position, provides privacy to the rear garden area. There are steps from the garden up to the rear garage door and the main vehicular access door is an 'up and over' type. 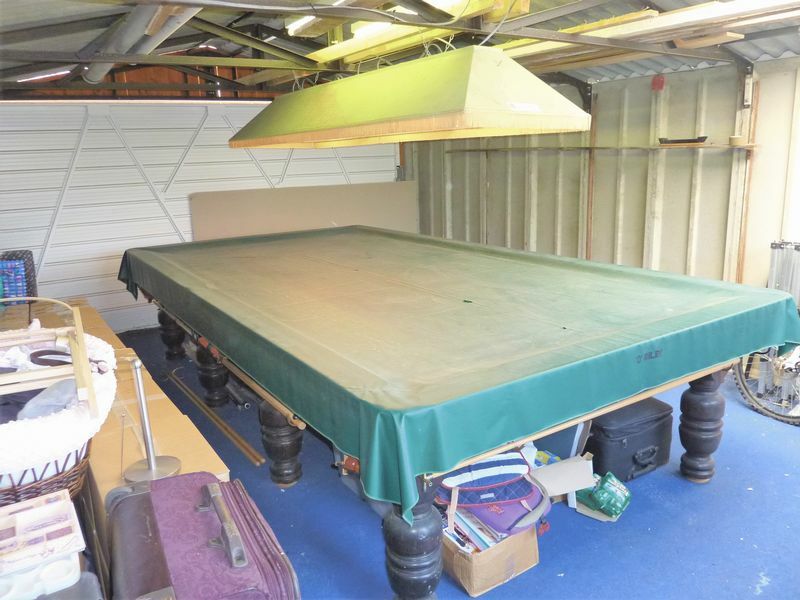 Internally, the garage has lighting, a carpeted floor and boasts a full-size snooker table which is available to purchase along with the property if so required. The private parking area is adjoining the garage with access via a rear service road. Space for 1 to 2 vehicles. 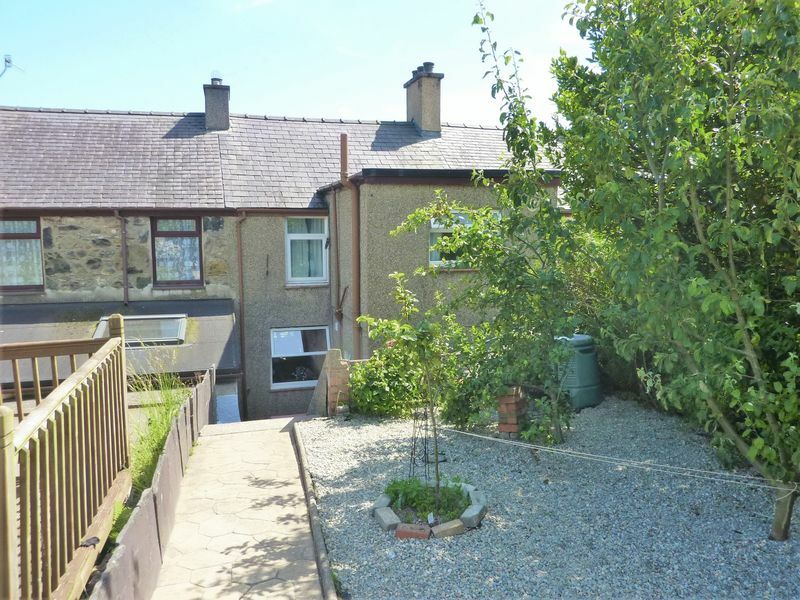 The property enjoys a southerly aspect onto Llwyndu Road. The compact front garden has been laid to pebbles and benefits from a mature hydrangea bush together with a small tree which provides an element of privacy and a pleasant greenery outlook from the front window. 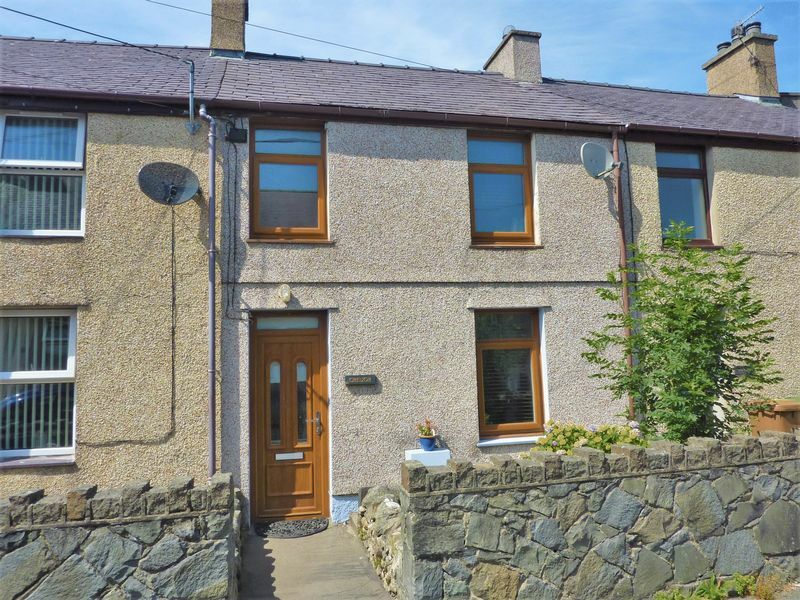 The property is situated in Llwyndu road on the north side of the street. Penygroes benefits from a good variety of shops and businesses together with a Post Office, Schools, a Leisure Centre, Children's Day Nursery and even a Vineyard on the periphery. There is also a regular and reliable nearby bus service. Furthermore, Penygroes is positioned just a short distance from the Snowdonia National Park and is within easy travelling distance of the beautiful Nantlle Valley and the impressive southern slopes of Mount Snowdon. The main shopping town of Caernarfon is only some 8 miles distant - a fantastic historic castle/harbour town with comprehensive shopping/social amenities to include a choice of superstores (Tesco's and Morrisons) . The area is ideal for those who love all-encompassing scenery and beautiful coastlines - all of which are easily accessible from this locality.